Has riding become your favorite leisure time hobby of late? 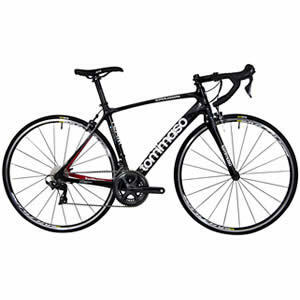 You need to get a quality road bike that will enable you to have the best of moments during your biking moments. If you are buying a road bike for the first time, you definitely will have trouble identifying the right one for you especially with the numerous brands exploding the market. Also, you may be wondering what a good quality road bike is likely to cost you. From most customer reviews on road bikes, the kind that never disappoints when it comes to a high performance and longevity will take you back 3000 dollars or so. Well, to save you from making an uninformed decision while choosing a road bike, we bring you a review of the best road bikes under 3000. In the article we will discuss the bikes features in details, a buying guide and frequently asked questions by users. Feels like a deal? Let’s explore this together. Frame Material: The frame of the bike is actually the heart of the entire bike. This is because a bike’s frame material determines greatly the bike’s sturdiness and weight as well. 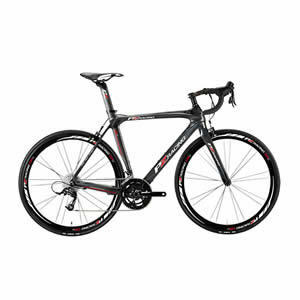 Most road bikes are constructed from carbon fiber, aluminum, titanium and steel materials. The most commonly used material is aluminum and at most times aluminum framed bikes are less costly. Titanium is hard and lightweight but it’s hard to use and can have an expensive maintenance. 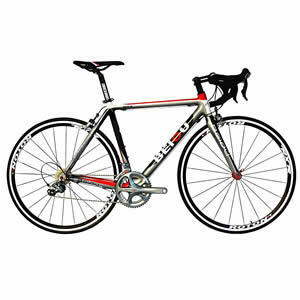 Besides, steel frame is mostly used on touring bikes because weight is not an issue in such kinds of bikes. Carbon frame, on the other hand, has become the most preferred frame type among most bikers because it is pretty lightweight but may also be costly depending on the specific carbon fiber that’s used. Components: Bike manufacturers often purchase different components from different manufacturers to build up bikes. The major manufacturer of bike components that have a reputable performance is Shimano. Other manufacturers that you may want to consider include Campagnolo and SRAM. Beginning with the entry-level to top-end, the order of quality and price is as follows for Shimano; Claris, Sora, Tiagra, 105, Ultegra and Dura Ace. Campagnolo components comes in this order; Veloce, Centaur, Potenza, Chorus, Record and Super record. The SRAM group set is as follows; Apex, Rival, Force and Red. All these manufacturers design their components differently and with that you can choose the one that suits your biking needs effectively. Wheel System: The wheels of your road bike determine how much comfort you will be able to enjoy while riding. Usually, light spokes and rims make the wheels lighter which in turn reduces their rolling resistance. Normally, wheel sets within the under 3000 price range, are usually lighter and more responsive compared to the ones that are on the lower end. In the recent past, tires with 23mm width were the most common but currently 25mm and 26mm wheels are available with a better spinning capability thanks to the enhanced road holding feature. Gears: The more speed gears you have on your road bike the more chances you have of getting the right gear for you while engaging in hillside riding. Bikes within this category normally provide the user with 16 to 30 gear options. Also to mention, Shimano gears work best so you may need to consider them for your new road bike. Brake System: Having a brake system that is highly efficient ensures safety for the rider. Out there in the market you will find two types of brakes, which include the disc brakes and the old school ones known as the rim brakes. Disc brakes normally are a great choice for riders who have their riding activities in bad weather since they have an enhanced modulation and power. Moreover, the disc brakes ensure that the rims don’t wear out as a result of the road crud that is formed during winter. 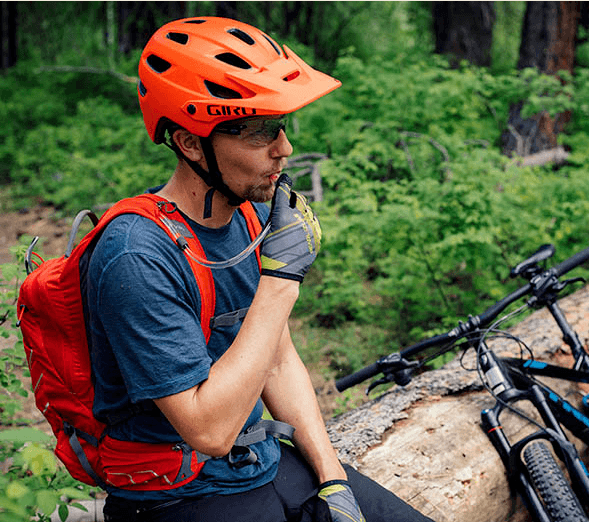 Right Size: Getting the correct bike size for you is very crucial in helping you to have a comfortable ride that will not result to back or neck strains. With this you should be careful not to be lured to a small size bike that doesn’t suit you just because of an attractive bargain. If you have been in search for a bike that you will ride for a lifetime, this Tommaso Superleggera Dura Ace Carbon Road Bike will be ideal for you. To begin with; the bike is popular for a high performance and superior comfort. With an incredible brake system coupled up with Shimano gears, this bike possesses a lofty built that any serious rider would love to experience. A road bike is not something you will invest small money into if you need one that will exceed your expectations. With this in mind, this Tommaso bike comes with a sturdy built thanks to the strong carbon frame that will last a lifetime even when exposed to rough riding conditions. Also, the Shimano elements in this bike give it a reliable long lasting construction. Have you ever rode on a rough road with a bike that doesn’t shield you from bumpy terrains? We can all agree that it is quite an uncomfortable experience. This bike features elite wheels that are pump proof to offer maximum comfort even while riding off road. The firm nature of the wheels also makes it possible to ride with optimal stability in all kind of roads. A bike that is lightweight lets you navigate in all kinds of terrain quite comfortably. With that, this Tommaso road bike is designed with the lightweight feature thanks to its light carbon made frame and Mavic wheels. Furthermore, with this lightweight feature you won’t be stressed out anytime you need to put it into your truck anytime time you might need it on your camping trips. 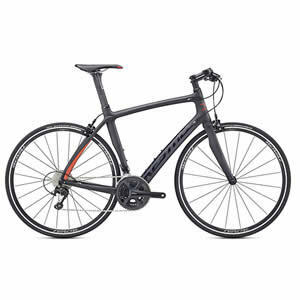 Do you live on the hill side and need a bike that will enable you to cruise down and up the hills without much trouble? This bike will be great option for you. This is because the bike comes with Shimano gears that are known for an astounding performance in mountain climbing. High reliability with the featured Shimano elements. Lightweight thanks to the carbon frame design. Lasts long with the strong carbon built. The compact frame geometry provides the user with comfortable rides. If you like the highly weighted bikes this will not work for you. The carbon frame may not support tour riding since it is remarkably lightweight. If you need an attractive bike that will draw you all the attention as your ride around your hood, this Savadeck 700C will be a great option for you. This is because the bike comes with a red finish that makes it pretty attractive. Moreover, the bike is also designed with an internal cable routing that ensures it is supplied with sufficient clean air flow. These feature among the others highlighted below are what make this bike a top riders’ choice. The more your bike is light the more convenient it will be to ride it at top speeds when need be. Weighing 17.2lbs, this bike is quite lightweight which makes it automatically a high speed bike. Other than that, the feature also enables you to navigate easily even through the most crooked trails. Besides, its carbon-made frame highly contributes to its lightweight nature. An efficient brake system allows you to make instant stops without compromising your safety any moment you are faced with an emergency on the road. This bike is designed with derailleur brake system that is efficient and never disappoints whenever you need to stop. Also, this feature enables the rider to be in charge of the bike at all times. 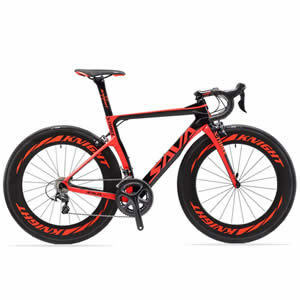 This SAVADECK Phantom 2.0 700C Carbon Fiber Road Bike is featured with Hutchinson tires with optimal sturdiness coupled up with a lessened rolling resistance. This in turn makes you ride faster while enjoying maximum stability as well. The sturdy nature of the bike also makes it quite resistant to wear and tear even while engaging in regular off road trips. Designed with an ergonomic saddle, this bike provides you with all the comfort you deserve especially for your lengthy rides. Derailleur brake system ensures safety and also keeps you in full control of the bike. The carbon-frame is quite durable and lightweight as well. For optimal comfort while riding, the bike comes with an ergonomic saddle. The pro road tires offer optimal stability and speed. The attractive paint of the bike tends to scratch off with time. The bar tape used on the bike is somehow not neat as it should be. 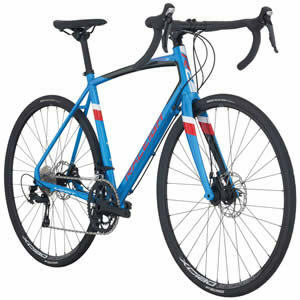 If you have been looking for a top comfort bike for your long rides to work, this Raleigh Bikes Merit 3 Endurance Road Bike will be a great choice for you. This is thanks to its outstanding comfort and efficiency. Also, the bike is designed with an anti-shock stem that keeps the rider comfortable even while biking on rough roads. This incredible road bike is designed with an aluminum frame that makes it sturdy enough for most grown individuals and while making it durable as well. The frame is also lightweight, which in turn is a big addition to effortless navigation of the bike in all kind of trails. The frame also has fender mounts for convenient riding in wet weather and an inbuilt rack to store personal necessities. Having an efficient set of brakes will enable you enjoy full control of your bike in every kind of terrain. This Raleigh bike comes with disc brakes with an enhanced stopping power to help you handle every other emergency situation you come across while riding. Furthermore, with the firm brakes you will be able to maneuver in slippery situations without toppling down. Do you ride regularly on off road trails? This bike is all you need. It comes with an anti-shock system that keeps the rider protected from bumpy terrain effects. This way you will able to ride through the toughest roads without getting overly exhausted. When it comes to getting a great road bike, you shouldn’t only focus on the performance but the design as well. 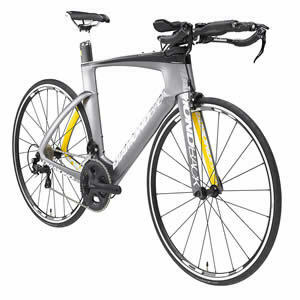 This bike is not only sturdy but it also has a great design and an attractive finish to keep you motivated as you ride. Featured with an aluminum frame, the bike is remarkably sturdy. The fender mounts enable you to ride comfortably on a rainy day. Safety is assured with the efficient disc brakes that are provided. In instances where you are riding on a tough terrain you will be well covered with the anti-shock stem. You will need to have the break system tightened. Key steps on the bike’s operation are missing on the user manual. 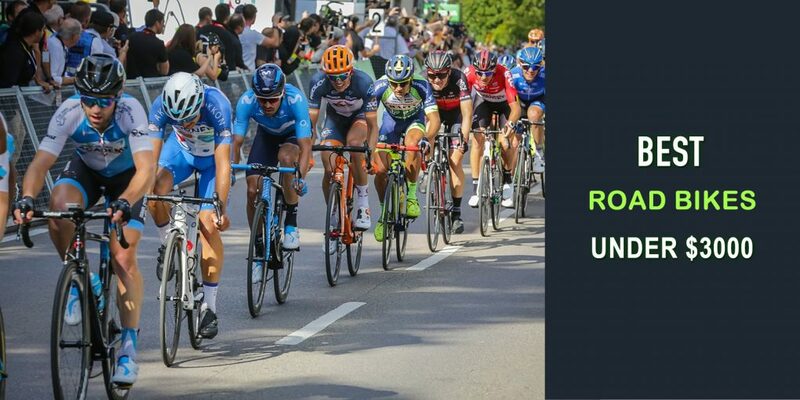 From having a great biking system to being outstandingly lightweight, this BEIOU 700C Road Bike Shimano ULTEGRA 10S racing bike would be a great option for any rider that wants to engage in serious biking. Besides, with the aerodynamic design the rider is allowed to enjoy full control of the handle bars and the brake system. What features makes this bicycle an outstanding pick? To make it possible for you to keep cruising on the hillside or any other tough riding conditions, this bike is designed with 10 Shimano gears that offer an impressive performance. Lightweight bikes are mostly preferred by bikers because they are a great way to stay in control as you ride. Precisely, the bike’s lightweight feature is enhanced by its frame that is made of carbon fiber. Also being lightweight, you won’t have trouble anytime you need it on your truck for your camping trips. Any rider involved in group riding or other lengthy riding trips can attest that an efficient handle support is very essential in biking. This Beiou 700C comes with a great handle system that ensures the rider enjoys maximum comfort on the back and the neck as they ride. Need a great road bike to provide you with uncompromised stability as you cruise through sharp corners on your riding trails? This bike won’t disappoint. It comes with strong grip tires that give it an efficient traction anytime you are riding on lean angles. Besides, this feature also ensures that the rider is able to cruise at high speeds without the risk of losing stability. Your bike’s braking system is very important because as a rider it is the only thing you have left that moment you are about to hit someone or an approaching vehicle. For that reason, this bike is designed with an efficient braking system with an optimal stop power to keep you safe in such instances. With the 10 speed gears that are provided you won’t need to apply much effort anytime you are biking on the hillside. The carbon frame makes the bike lightweight. Strong grip tires provide stability in all riding conditions. Wind breaking design provides speed. May not give the speed edge you need in a race. If a high performance lightweight bike is what you have been looking for, this PZ Racing 55cm Road Bike with 105 Shimano 11-speed Gear is all you need. To begin with, the bike is pretty lightweight. You don’t want to purchase a road bike that will limit you to driving only at specific areas. This bike is designed with 11 gear speeds to allow you ride in all kind of roads. Whether you need to take a ride uphill or you want to beat the mountains, this set of gears comes with all the tenacity you will need. Moreover, the fact that these gears are Shimano is an assurance that they are not likely to be a disappointment. The kind of frame you have on your road bike will highly determine how sturdy the bike is and also how heavy it is. This PZ racing bike comes with a carbon fiber frame that is not only durable but also lightweight. This way you will achieve easy handling of the bike without having to compromise on quality. The wheels of this bike are alloy, which makes them pretty lightweight and convenient for fast riding. Other than being lightweight, these tires offer stability and an effortless spinning regardless of the biking trail you are riding on. The 11-gear speeds give the rider comfort while on hillside biking. The carbon frame makes the bike lightweight and sturdy. Designed with a light handlebar, the bike allows you to navigate effortlessly. Alloy wheels featured are lightweight, which in turn allows you to drive comfortably at high speeds. Assembling tools are not provided. The wrapping of the bar tape is not neat. This Diamondback Bicycles Serios S Ready Ride is what every rider in need of a comfortable and a high performance bike needs. Firstly, it features a straight line speed that allows you to ride steadily even when taking sharp turns. Furthermore, you will not go through a complicated assembly since you will only need to fix the pedals, seat and the wheel. Well, here is more of why this is a popular choice road bike among enthusiastic riders. To make this road bike manageable, Diamond has it designed with a carbon frame material, which is significantly lightweight. Other than making the bike ultra-light, this feature also enhances the durability of the road bike. Moreover, with being lightweight the bike also becomes super responsive to the rider’s piloting. If you have assembled a bike before, you definitely know that at times it could be quite a task especially if the assembly tools are not included by the manufacturer. This Diamond road bike saves you all this trouble because all you need to do is put together the wheels, pedals and the seat. Basically the manufacturer does most of the assembling work for you. To provide you with a comfortable riding experience, this bike is designed with HEDC wheels. These wheels are quite efficient in absorbing rough road shock as well as enhancing stability. Moreover, they have zero resistance to spinning which allows the rider to ride at top speeds. If probably you need a road bike that you can use together with your family members or friends, this would be a great option. This is because it comes with headset spacers that make it convenient for various kinds of body shapes. The bike is outstandingly lightweight thanks to the carbon frame. The headset spacers ensure that riders with varied shapes are able to enjoy comfortable rides. With the HED wheel system, the bike has the capability to move at high speeds comfortably. The front end of the bike tends to have some operational issues. Generally, the bikes components are not the best that you would find in the market. Are you a serious rider looking for a road bike with the capacity to maneuver tough climbs? 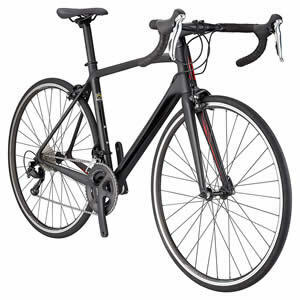 This Schwinn Fastback Carbon Road Bike, Matte Black will be a great choice for you. First of all, the bike has a firm carbon frame built coupled with Shimano gears. As such, this bike gives the biker the ultimate riding experience. Below we get to discuss more about the impressive features of the bike. We all know that a bike that’s light enables the biker to ride at high speeds without much effort. This Schwinn bike comes with a carbon frame that makes it quite lightweight for an enhanced user control. Cruise through the hillside effortlessly with the 22 Shimano gears that are part of this bike’s impressive design. Additionally, Shimano 105 shifters are also featured in the gear system to enable the rider shift gear levels conveniently. The Schwinn Fastback Carbon Road Bike brakes are Shimano made, which is one reason you need to have confidence in the bike’s brake system. The brakes offer a strong stopping power that gives room for all-condition stopping thus enhancing your safety at the end of the day. Getting a bike with a high quality tire system will allow you to ride through the toughest of roads without breaking your back. This is because they provide cushioning against the bumpy effects that come with such roads. With that, this bike comes with quality KendaKriterium tires that are pretty efficient in delivering a smooth speedy ride. The bike is speedy and stable with the Kenda high traction tires. The carbon frame construction makes the bike lightweight and sturdy at the same time. The gearing system is top notch thanks to the 22 Shimano gears that provide a high stopping power. The bike also features Shimano shifters, which make changing gear levels quite stress-free. The bike has a relaxed geometry, which may leave you a bit exhausted during long rides. The pedals of the bike may need replacement since they are not as efficient for some riders. Need a combination of sturdiness and lightweight on your bike? This Kestrel Rt-1000 Flat Bar Shimano 105 Bicycle is all you need. Made with Shimano gears and with 18.53lbs weight, this bike is all you need for smooth riding coupled with an incredible performance. Don’t you ever imagine that your brake system is a minor element because normally it contributes much to your riding safety? With this bike comes a Tektro R540 Dual Pivot brake system that ensures you stay in full control of the bike while on your riding trips. The speed gears featured in this bike are quite efficient thanks to Shimano who is the manufacturer. They give you the capacity to ride even on the mountain side. With this, the rider will be able to enjoy unlimited exploration when doing their usual biking escapades. If you need a bike that is to be shared between different individuals, this will be a great buy for you. This is because it is designed with a quality ACROS headset that accommodates the different shapes of riders while giving them the optimal comfort. Stability is key especially if you are a fast rider or if you tend to ride in a busy environment. For this reason, this Kestrel RT1000 bike is designed with a wide wheel base to provide an assured stability to the rider in all biking conditions. The carbon frame makes this road bike pretty lightweight. It provides an enhanced stability thanks to the long wheel base featured. The bike is designed with a Tektro brake system that keeps you in control as your ride. Hill side riding is well facilitated by the Shimano gears. You may need to replace the seat of this bike for your comfort needs. Some users complain that the wheel set is a little bit heavy. Question: Does the frame material I choose for the bike really matter in terms of weight? Answer: Yes, it does. Carbon-made frames are normally the one with the least weight. Question: Can I get an electronic gear system for my road bike? Answer: Yes, they are available with Shimano, Campagnolo EPS and SRAM Etap. Question: I ride through a very busy trail while going to work. Which brakes are best for such trails? Answer: Disc brakes are the best in this situation because they have a high stopping power. If you have not been having it easy while on your trips to work or school, it’s time you get yourself a new riding unit. With the above reviews, you now know which direction to look any moment you need a quality road bike under 3000. All you need to do is get to identify the one that suits your riding preferences and you are good to. Moreover, the reviewed road bikes are great quality and with any of them you will be able to get the biking experience you have always dreamt about.